Suppose the Zika virus endangered "only" pregnant women and the unborn, as we were, for a long while, assured. That would be horrible enough. The situation may be worse than that. Per a more recent study, "Zika infection may affect adult brain cells, suggesting risk may not be limited to pregnant women." Does it (can it) work? Perhaps because it feels good to see stuffy adherents of dusty facts and institutions proven wrong, there's a cottage industry of uncritical reporting as to the supposed reactionless (read: contrary to long-established laws of physics) "em drive." Among recent plaudits doled out to the em drive is that an article on the subject -- as yet, unseen -- has been accepted by a peer-reviewed journal. Sorry, that's not enough to write off Newton's laws of motion. 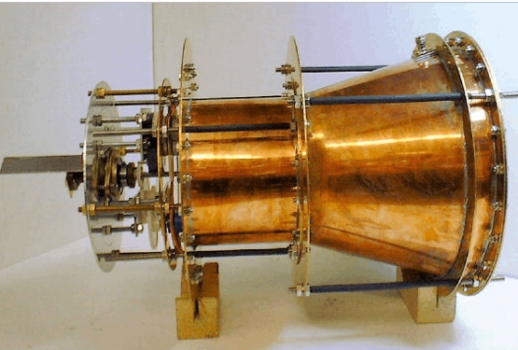 See "NASA's Impossible Space Engine, The EMdrive, Passes Peer Review (But That Doesn't Mean It Works)." Remember the big switch-over from standard-definition TV (with a theoretical maximum of 480 interlaced scan lines -- and, in practice, many fewer -- as in old, hulking CRT-based monitors) and the now-common high-definition TV (with as many as 1080 non-interlaced lines)? Of course you do! HD offers a much better viewing experience than SD. So how about the next change (after the dismal failure of 3DTV) that industry hopes we'll embrace? If 1K lines are good, 4K lines are even better ... right? Wrong -- at least given a typical viewing space such as your family room. See "4K Resolution Rules TV Screens But Look, The Emperor Has No Clothes."